The Port St. Lucie motorcycle accident lawyers at the Shiner Law Group understand the complex challenges facing motorcycle accident victims, from Florida’s abstract insurance regulations to the deny and defend tactics employed by insurance carriers. Pursuing a claim in the absence of legal representation further complicates a motorcycle accident victim’s effort to obtain financial recovery. If you or your loved one has been injured in a motorcycle accident, contact an experienced Port St. Lucie motorcycle accident attorney to discuss your legal rights and options, as you may be entitled to financial compensation. Florida is a comparative negligence state, which means that a percentage of fault can be attributed to any driver depending on the breach of their duty of care. Under Florida law, motorcyclists over the age of 21 are not required to wear a helmet; however, a driver who forgoes wearing a helmet can be considered comparatively negligible, despite operating within the confines of the law. Moreover, motorists are required to carry Personal Injury Protection (PIP) insurance coverage in the minimum amount of $10,000. This type of coverage does not apply to motorcycle drivers (or passengers), even if the driver owns a car covered by PIP. To bring a motorcycle cause of action against an at-fault party, the claimant must prove, per Florida’s negligence standard, that any injury sustained occurred as a direct result of a traffic safety law violation. For example, if a car fails to acknowledge a red turn signal and proceeds through an intersection, striking an oncoming motorcyclist, the motorcycle driver can argue the damages were incurred due to the car’s illegal turn. Unlike standard car accidents, motorcycle accident victims do not need to prove that a duty of care was owed or that a deviation from that duty existed. Motorcycle accidents are particularly harmful and can ultimately lead to medical treatment and rehabilitation, periods of disability, loss of wages, or even a permanent inability to engage in gainful employment. It is important for any motorcycle accident victim to seek immediate medical attention for their injuries, as failure to do so may not only exacerbate the severity of the injuries but can ultimately damage a motorcycle accident victim’s claim. According to the National Highway Traffic Safety Administration (NHTSA), motorcycles account for 9% of all traffic-related fatalities. Insurance companies that prioritize financial gain will pursue a variety of tactics to cripple a motorcycle accident victim’s claim. While agents may seem amicable, they are notorious for attempting to shift vault, particularly against victims who forwent a helmet. With over 15 years’ experience successfully representing Port St. Lucie motorcycle accident victims and their families in civil lawsuits, our award-winning attorneys have an underlying knowledge of Florida’s complex motorcycle accident laws and the shifty defensive strategies employed by insurance companies to reduce their financial liability. Our law firm aggressively pursues the best results for our clients to secure the strongest financial recovery package by evaluating the crash site, reviewing police reports and medical records, questioning witnesses, reconstructing the accident, and consulting a network of relevant industry professionals to build the most compelling claim. We customize our legal services to the facts and circumstances of each case because we understand the state of physical, emotional, and financial hardships our clients face. Our results-driven approach to motorcycle accident litigation has allowed us to recover millions of dollars in settlements and verdicts, so our clients can focus on what matters most – recovery. Have you or someone you love been injured because of the negligent, reckless, or intentional conduct of another? Call us at (772) 777-7700 or contact us online for a free case review. 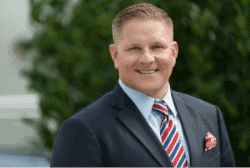 The Shiner Law Group represents personal injury and wrongful death victims in Boca Raton, West Palm Beach, Boynton Beach, Delray Beach, Palm Beach County, and the surrounding counties.